I love the homestyle and small-town feel to Gilbert, Arizona! Living in Greater Phoenix usually means there is a lot of hustle and bustle, and lots of big corporations residing in our city (and thankfully bringing lots of jobs to our community at large). But honestly, sometimes I miss the feel of a small town. And luckily for me, whenever I visit Gilbert I can fulfill that need; there is something remarkably cozy about downtown Gilbert, AZ. The qualities of downtown Gilbert have inspired me, and today I'm sharing a burger recipe that represents my love for this city. 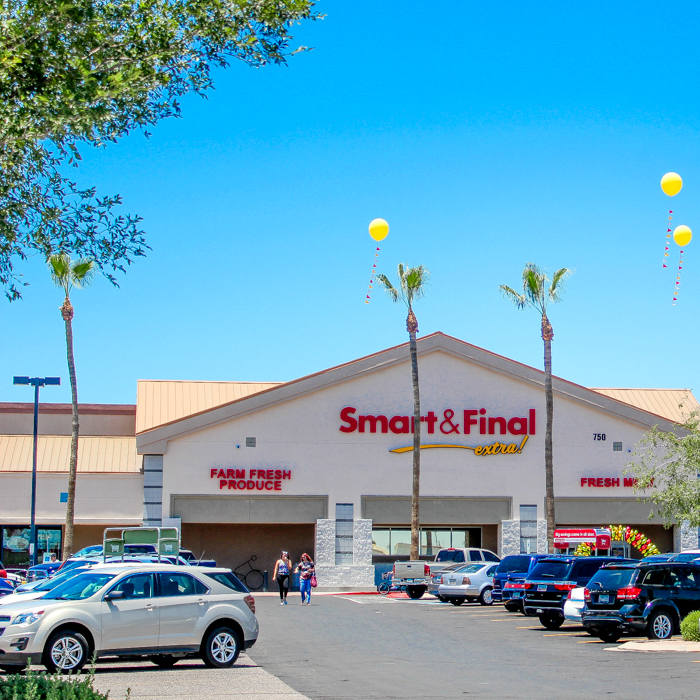 I'll also be sharing my experiences from attending the Smart & Final grand opening in Gilbert, AZ! When I think about Gilbert, I think about healthy and local ingredients. There are loads of farms and markets all around town--so when I wanted to create a burger to represent Gilbert, I knew I could head down to Smart & Final to get some ingredients that I feel represent the Southwest. Place about 1/2 lb of lean ground beef on cutting board. 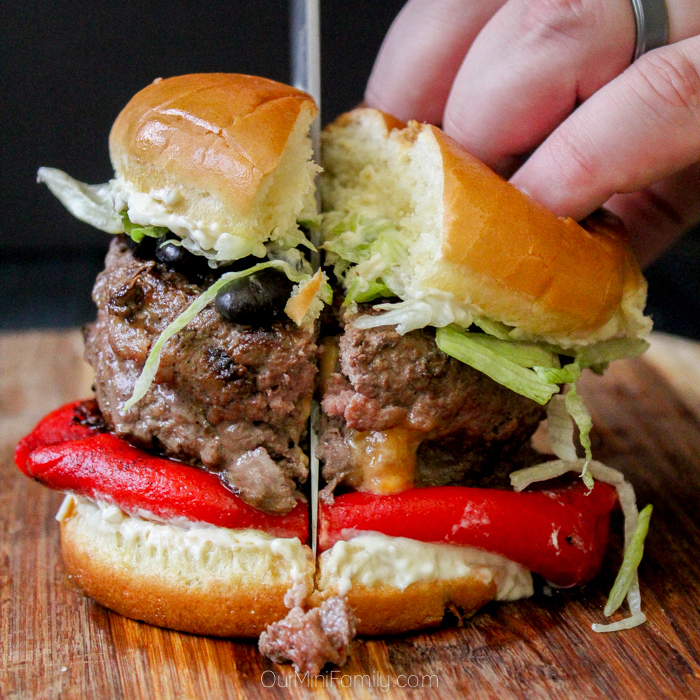 Form a regular burger patty with your hands, and then make a small pit in the middle (or use a stuffed burger kit). 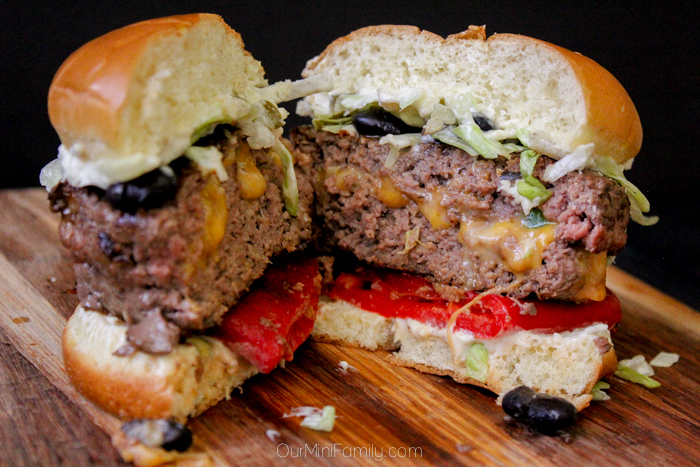 Fill the middle of the burger with Colby jack cheese and chopped jalapeños. Place the remaining 1/4 lb of beef on top, and then form the two pieces together so that the ingredients don't melt out of the sides of the burger. Heat a stovetop, non-stick pan to medium-high heat and place the burger down. Sprinkle the burger with the ground dark roast coffee on both sides. Once the burger is fully cooked (the pink on the sides will be gone and the cheese will have already started to peek out from the middle), remove from heat. Prepare the burger bun--coat a small layer of artichoke jalapeño dip on both buns. 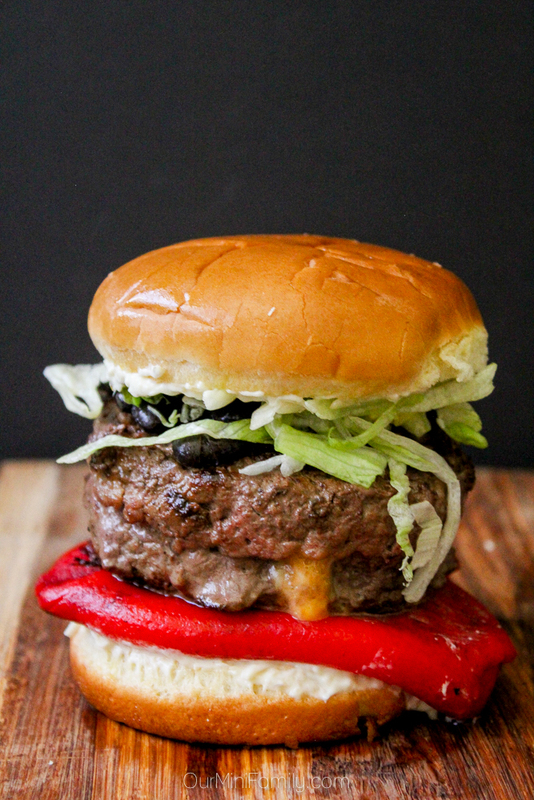 Layer your burger with a whole fire roasted red pepper on the bottom, followed by meat, black beans, and lettuce. Want to try our burger recipe for yourself? Pin the recipe for later! 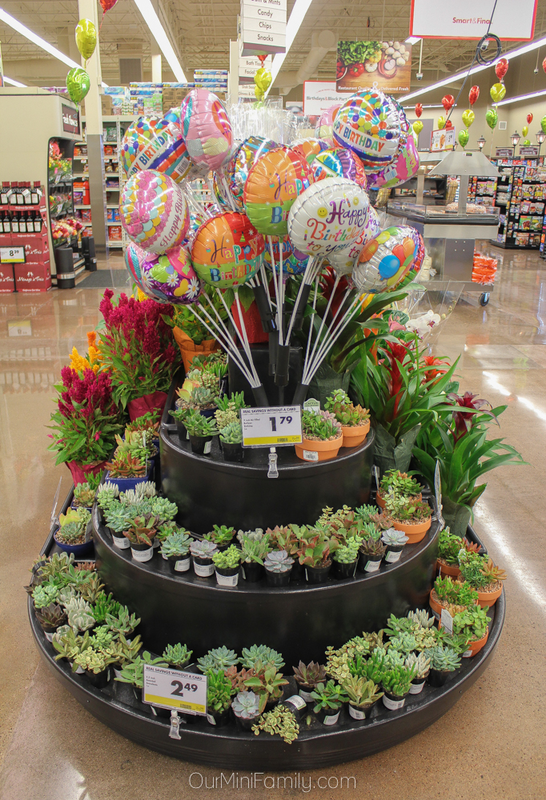 Last week, I attended the grand opening for the new Smart & Final in Gilbert and it was so fun! I was glad to see that they were expanding to Gilbert--this neighborhood was in desperate need of a warehouse and supermarket just like Smart & Final! There was a lot of excitement in the store, and loads of special deals being offered as a part of the grand opening celebration. For me, my favorite part of the day was just exploring all of the amazing features of the Gilbert store. I was amazed by the wide variety of fresh produce at the Gilbert Smart & Final, and I was even happier that there were loads of organic fruits and vegetables too! 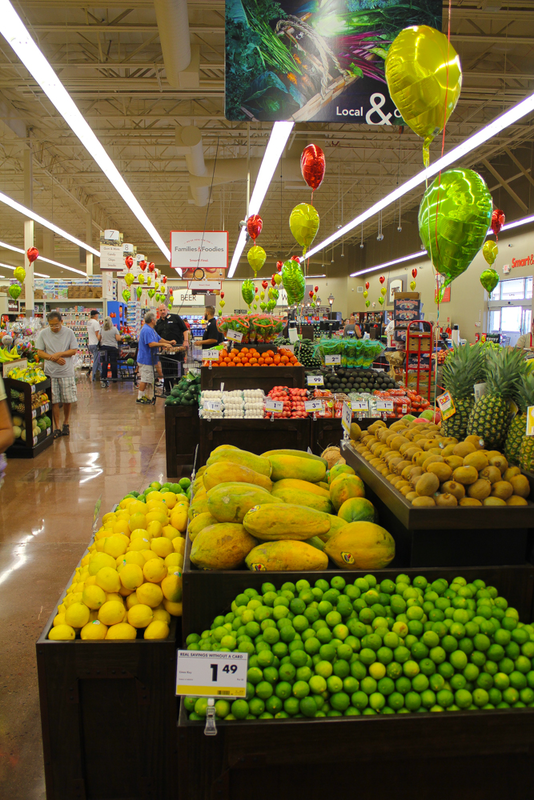 The produce section is large and bountiful--there were lots of fresh and healthy ingredients to choose from! Once I finished filling my cart with some vegetables, I moved onto the rest of the store. 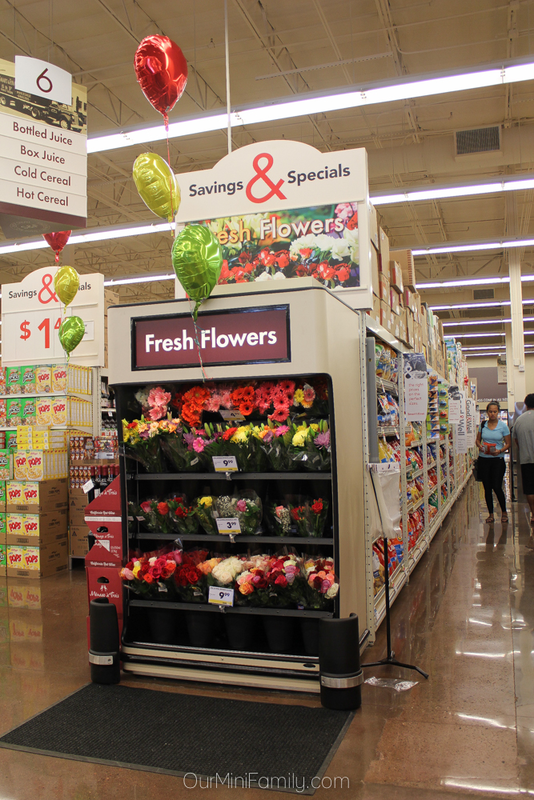 To my surprise, there is also a floral section in the Smart & Final in Gilbert too! I am a huge fan of succulents (you know what I'm talking about if you've seen my DIY succulents shelf post), so I definitely took a few of these little guys home with me at the grand opening. 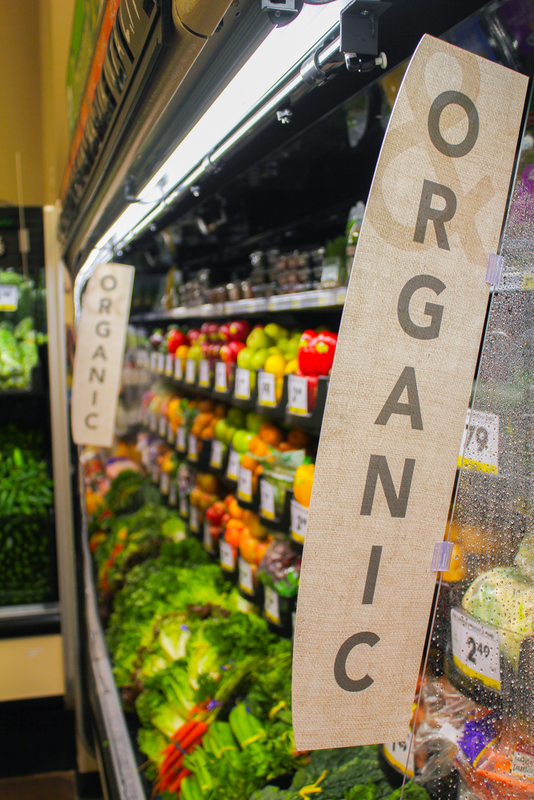 I continued to explore around the store to check out some of the other sections including grocery favorites, quality meats, bulk foods, natural and organic, party supplies, and business/restaurant goods. One of the reasons I really like Smart & Final is because I can get the warehouse sales prices, but I don't need to pay for a membership fee or have a club card. There are so many items available, and Smart & Final has one of the largest selections of club-sized items anywhere! Saving up to 60% on groceries is something that every neighborhood deserves, and I am so glad that it's finally here in Gilbert. 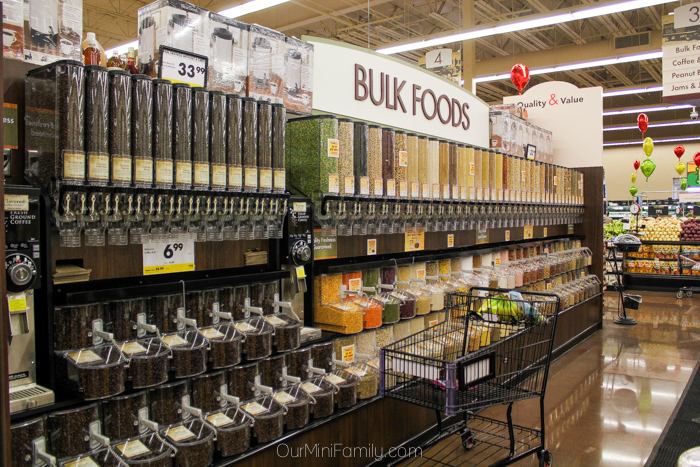 The part of the store I spent the longest in was the bulk foods section. It is filled with self-service bins--the products available include ingredients like coffee, wholesome grains, seeds and nuts, dried fruit, and healthy snacks. Having the option to choose how much I want of one particular item is awesome for me as a blogger, because sometimes I only want one serving of a particular ingredient for one specific recipe I'm making. There were so many ingredients that spoke to me when I was thinking about coming up with my Gilbert burger recipe. 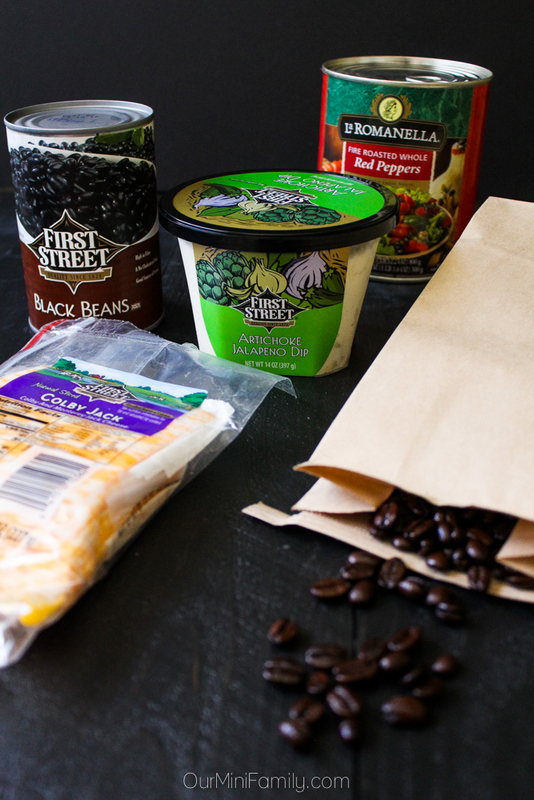 First, I grabbed some First Street ingredients including my black beans, Colby jack cheese, and the artichoke jalapeño dip; then I picked up my La Romanella fire roasted red peppers, and also some Ambiance dark roast coffee beans. 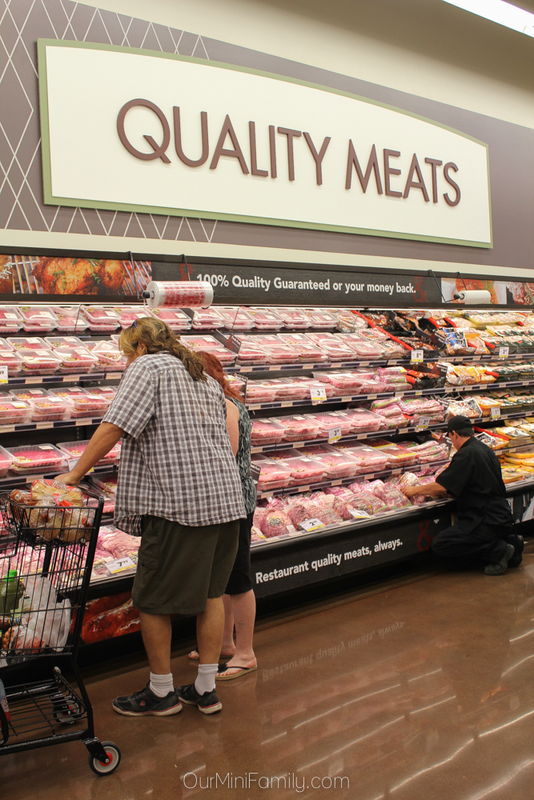 Another fantastic section in the Gilbert Smart & Final store I explored was the quality meats area. I really like when a store is very particular about the quality of food and where it comes from--and all of the fresh and frozen meats in Smart & Final come with a 100% quality guarantee. When Adam and I host parties and have friends over, we always end up buying wine and beer in bulk for all of our guests. 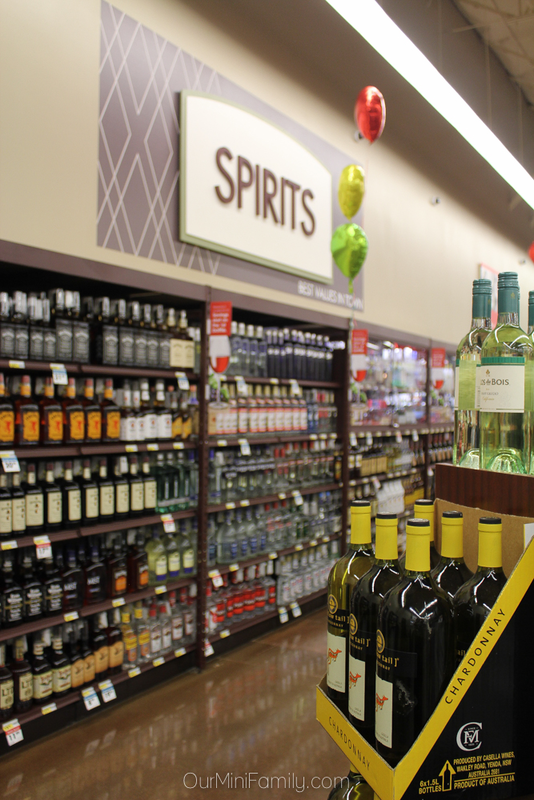 The variety and selection in the sprits section of the Smart & Final was great--and the wine bottle prices range from very affordable to higher end (so depending on the occasion, you know you can always leave Smart & Final with the appropriate bottle of wine for any occasion). 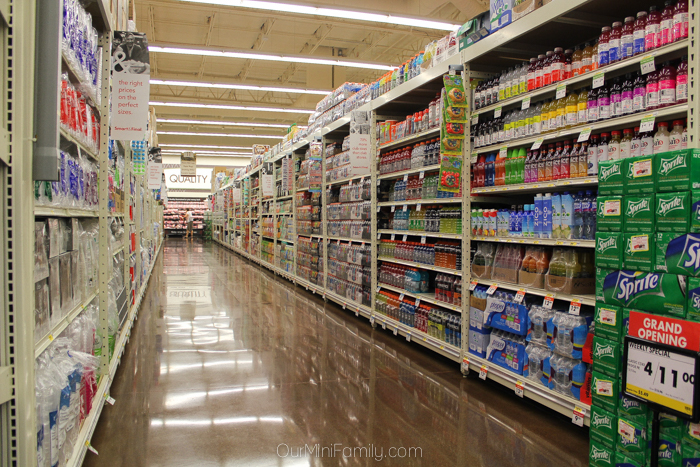 All of the aisles are stocked with trusted brand names-- including the Smart & Final brands like First Street, La Romanella, Sun Harvest, Cattleman's Finest, Montecito, Ambiance, and Simply Value. 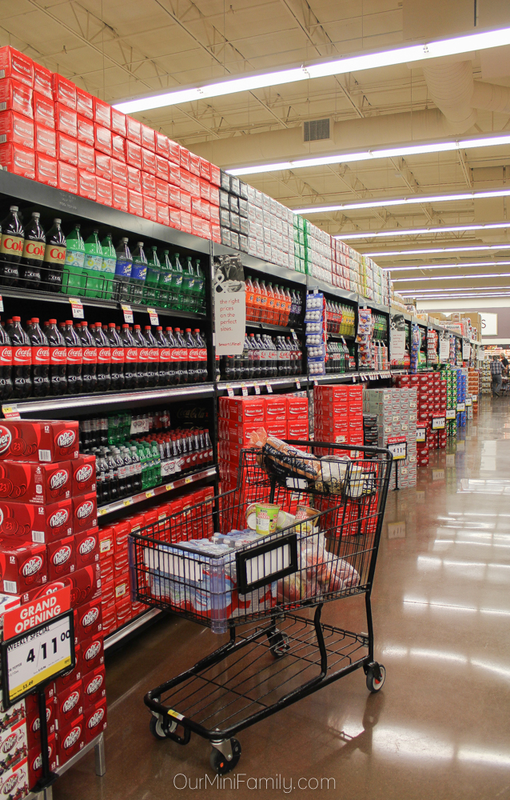 The deals are incredible--when I went to the grand opening, I picked up 4 big cases of soda for just $11. And the deals didn't stop there! I paid only $0.69/lb for whole chickens, $0.39/lb for bananas, $0.79 for fresh blackberries, and a club-sized tub of ground coffee for only $10.99! I will certainly be headed back to Smart & Final in Gilbert next week when I have more grocery shopping to do! I saved a lot of money on both the club-size and regular-size products that I bought, so it's an undeniably awesome store to shop at in the Gilbert area. In case you didn't already know, Smart & Final is planning on opening 16 additional stores this year. On top of that, they've made some changes to their brand to enhance the Smart & Final image (including how they've included the ampersand in the name of their store now). Check out their new commercial to hear more about their plan to rebrand in 2015! And to stay connected to Smart & Final and find out if there are any events in your area, be sure to follow them on Facebook and Twitter. What features do you look for in a grocery warehouse? Fabulous! Can we call it the Gil-Burger? Just looking at that roasted red pepper made my mouth water! Looks delicious! Love all the beans and peppers you added to it. Great for summer grilling and family parties! Thank you so much! And yes, definitely great for summer grilling for sure! Ooh, Smart and Final "EXTRA?!" Fancy. I love that you created a burger for Gilbert! Yes! They had so many extra features in there! And thank you! Very nice store ! Love your burger, Cathy, especially the added roasted red pepper ! Thanks Linda--love having roasted red pepper with burgers! that burger looks amazing, right up my alley! Artichoke jalapeno dip? Yes please! :-) Our somewhat little town is supposedly getting a Smart and Final too, so I'm really excited! I hope ours has a bulk food section also!! Thank you! And artichoke jalapeño dip is da bomb dot com! I love burgers and we usually have full blown burger nights at out house! Like a burger bar! This recipe will be there at the next one! Thank you for sharing! Oh how fun! And that is awesome--hope you all love it! You're very welcome!! Thanks for stopping by! Of course! Thanks for stopping by and hosting the party! Oh wow, Cathy! 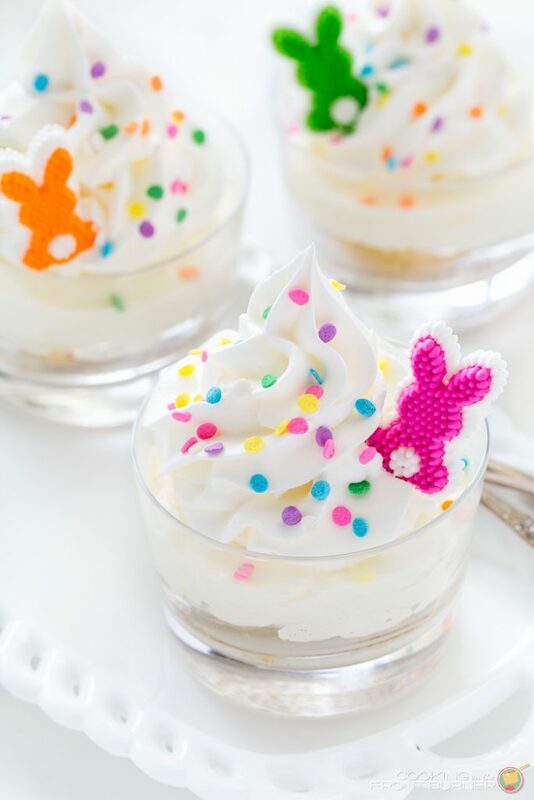 This looks so, so yummy!! Great job! Cathy, your burger looks mouthwatering! 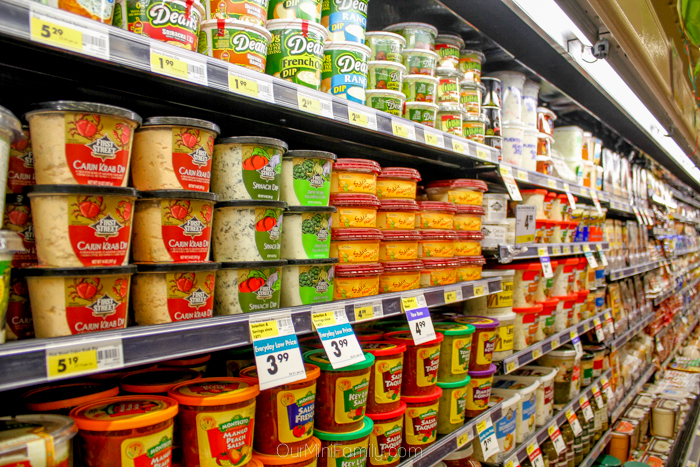 We love shopping at Smart and Final, I've never seen the Artichoke Jalepeno dip. I'll have to keep an eye out for it the next time I'm there! It sounds amazing on a burger! Pinned! Your burger is up next on our burgers to try! Is this burger spicy? 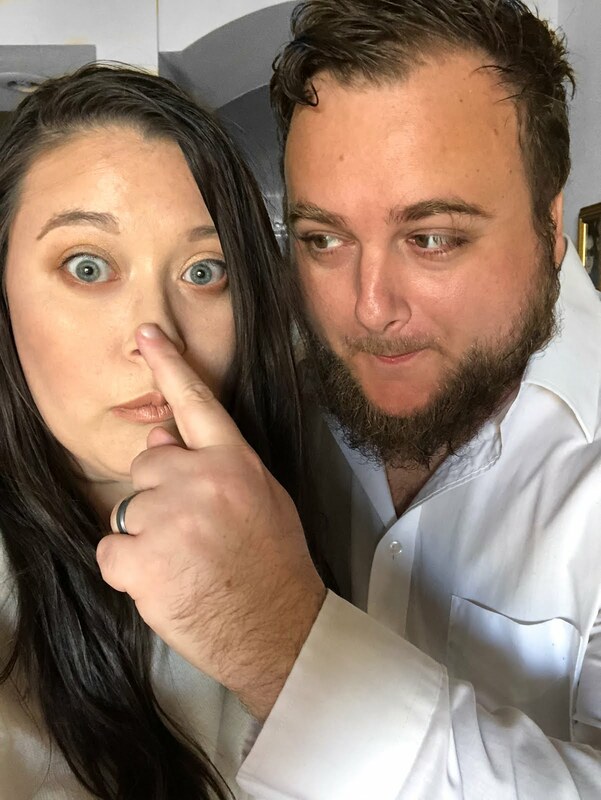 My husband loves spicy, but the rest of the family can't handle it. What do you suggest I take out (and put in place of) to make this non-spicy? Looks absolutely good!!! Hi Janice! Yes, this burger is very spicy because I cook it with the jalapeños inside--any time you cook the jalapeños into something (rather than add as a condiment), it makes it much hotter. I'd just do the same recipe minus the jalapeños! :-) And thanks for your kind words!